Maintenance of your washer and dryer every few months will lead to your clothes coming out cleaner. After many loads of laundry, the inside of your washing machine can get built up residues of dirt and detergent. The inside of your dryer can also get a buildup of lint, dust and dirt. 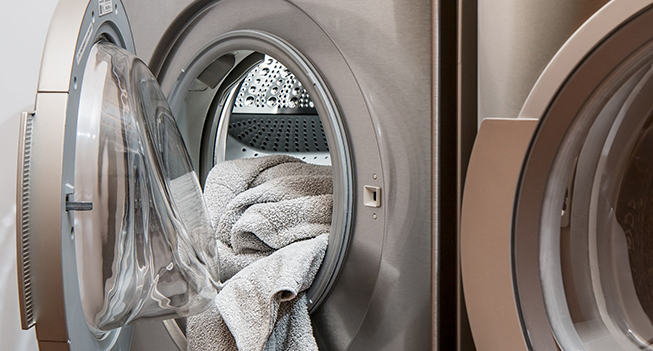 Here are a few tips for cleaning your washer and dryer. 2. Clean the lint filter thoroughly with a vacuum, as well as the interior of the dryer, including the door seal. 3. Clean the inside of your dyer using a damp sponge with warm soapy water. 4. Clean out the soap, bleach and fabric softener dispensers. Use a pipe cleaner or some cotton swabs to remove the residue. 5. Get rid of mold and mildew odors, as well as a built up of soap and fabric residue by running the machine empty with hot water and about 2 cups of white vinegar.